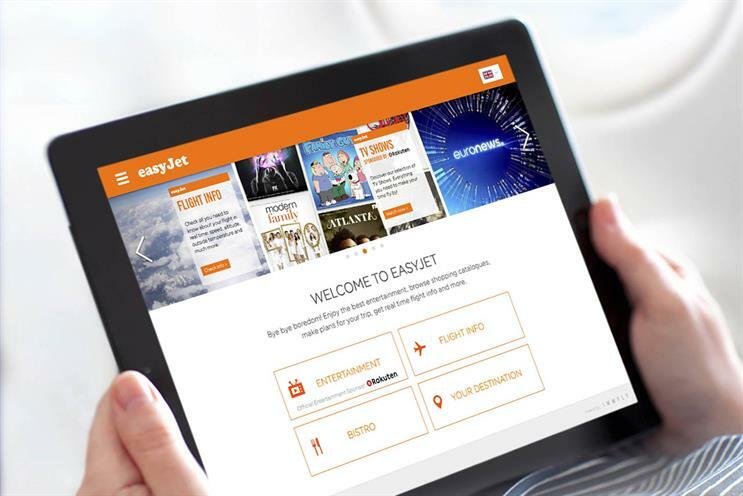 EasyJet has signed on Barcelona-based startup Immfly to provide free onboard entertainment on a channel called "Air Time". Immfly's system will enable passengers to use their own smart devices to access entertainment, travel guides and book activities while on the flight. Entertainment content includes audiobooks, e-books, maps, digital retail catalogues along with shows from Fox Non Theatrical, Euronews and other media brands. It also provides an advertising platform for brands to target passengers, with models ranging from channel sponsorship to branded content. Sampling and onboard events are also available. Immfly is already working with several airlines, namely, Iberia Express, Volotea and XL Airways and expects to reach 100 million connected passengers by 2018. It claims to have worked with brands that include Rakuten, U-talk, American Express, Mondelez and Vodafone. EasyJet said the launch date for this service has yet to be finalised but it will likely be in late autumn or early winter.